When wine inspires art. 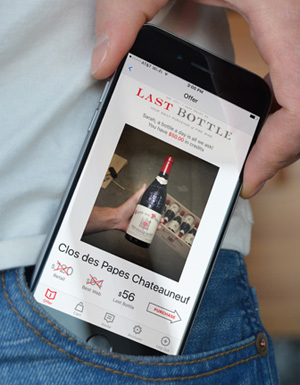 The story of Ryan Sorrell's stunning vinomosaics. When wine inspires art. The story of Ryan Sorrell’s stunning vinomosaics. Do you ever wonder if the key to discovering your life’s creative passion lies hidden in the kitchen of your parents house? Ryan Sorrell didn’t until he chanced upon a pile of neatly sliced wine foil tops piled in a crystal vase at his parent’s house. At the time he didn’t particularly like wine and he definitely wasn’t much of an artist. But when he saw all these colorful, circular foil tops he had a light bulb moment and thought, “that could be a really cool mosaic”. That spark of insight would light up a path of obsession, hard work, late nights, and ultimately discovering what he truly loved doing. We’ve seen Ryan’s artwork on Twitter and recently caught up with him to learn more about how he got started and what’s involved in the creation of these “vinomosaics”. He took the foils home and set to work, carefully filling each empty tile with epoxy so it retains its shape, and then arranging them into a mosaic pattern. Naturally the first one “kinda sucked” as he put it. How many of us hit a home run during our first at bat? Still, it must have been good enough because pretty soon after it went on display at a local wine bar someone laid down cash to make it theirs. That’s when he knew there was potential behind his creation. So he continued perfecting his technique, slicing foils and merging them together to create seamless transitions and subtle details in the prints. The results are nothing short of stunning. Take a look at some of his work below. “The Crusher” (12″ x 12″) shows the iconic wine crusher statue that appears as you enter Napa. 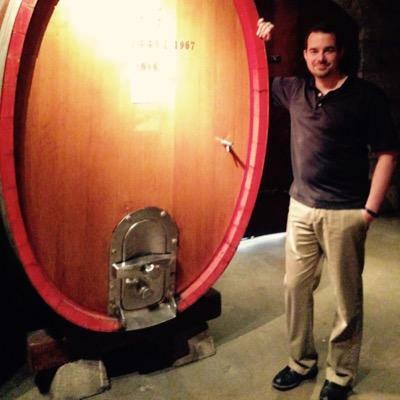 In 2014 Ryan and his wife visited Napa for the first time, where he was able to put . Over time he became familiar with wineries whose foils he was using. He started drinking more wine out of curiosity and sometimes he’d even buy a bottle just because it had the perfect color foil. Eventually he and his wife took a trip to Napa in 2014. 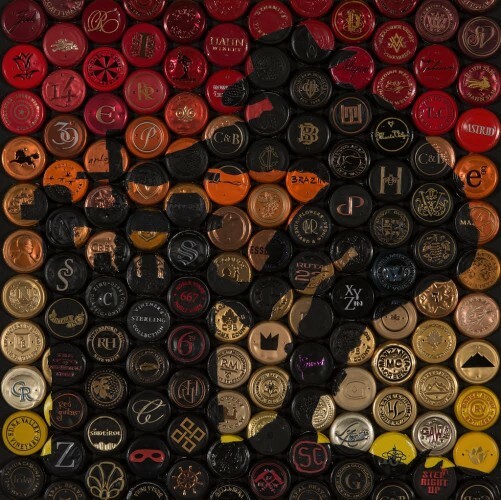 He remembers the excitement of traveling up and down the valley and seeing all these wineries whose caps he used in the art. He introduced himself to a lot of the wineries he recognized and found they were totally into his art. Many of them even send him a steady supply of their leftover foils to this very day. Now he has a massive supply of 100k+ foils. 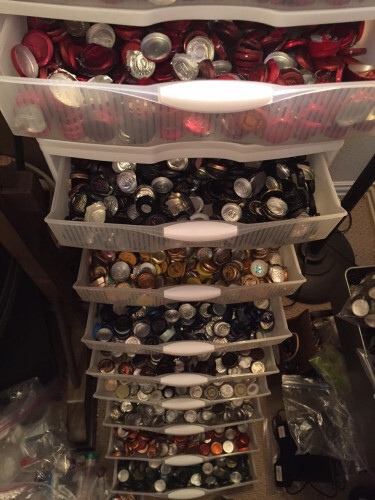 Ryan has amassed a growing inventory of wine foils to use for his mosaics. Ryan makes each piece himself. The process can take anywhere from a few weeks to several months or more depending on the size. Sometimes he chooses the theme. Other times he gets commissioned to do a piece by individuals or companies. Whenever possible he adds small personal details to infuse a deeper personal connection with the art, like the initials of grandchildren in a piece commissioned by an older couple. Even though Ryan still has a day job, as a one man show he can only produce so much. He finds time late at night when the kids are asleep or on the weekends, often working tirelessly all day Saturday and Sunday. 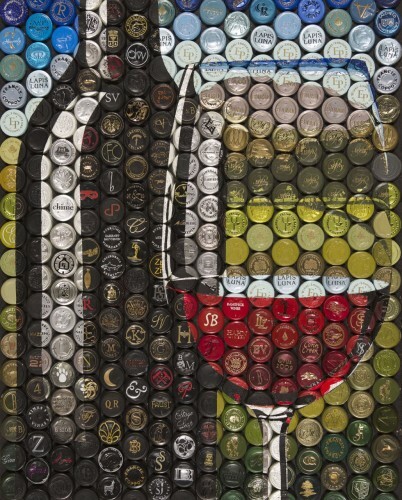 Do you have a pile of wine foils, some epoxy, and a lot of spare time on your hands? Check out this time lapse video Ryan put together for his Coravin piece to get an idea of what’s involved. Given the time required to create a single piece, Ryan isn’t sure how easy it will be to scale his production levels, but he has come up with a way to make his work more widely accessible (and affordable). Recently he began printing high resolution copies of his original pieces onto metal/acrylic, and overlaying a 1/4″ sheet of plexiglass to make the colors pop. 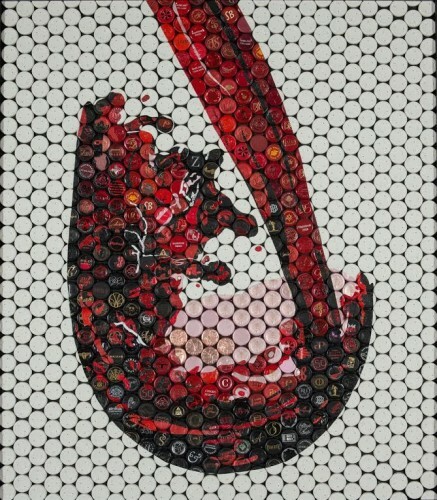 To commission your own mosaic or find what’s currently available, check out his website at http://www.vinomosaics.com/.